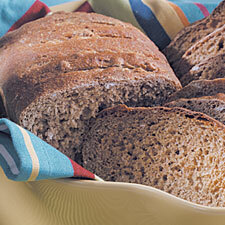 Need homemade bread recipes? Are you experience at bread making and have bread-baking skills or just beginning and want to learn more how to bake bread? Enjoy our growing library which also includes easy quick breads, Sweet breads, muffins, pancakes, biscuits, scones, and apple breads, whole grain bread recipes, focaccia, pitas, seasonal breads, dinner rolls, cornbread and more!!! Banana Bread Recipes - Moist Easy Banana Bread Recipe your family will love! 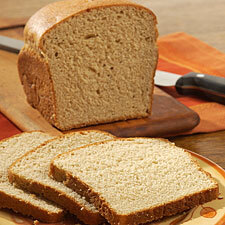 This homemade banana bread recipe is my favorite and it goes quickly. Makes a Great treat and a perfect gift that everyone will love. Cheesy Breadsticks baked with garlic sweet butter, Italian herds smothered with mozzarella and parmesan cheeses. 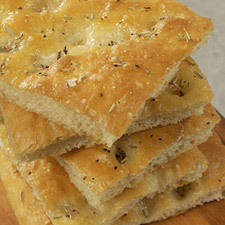 You can top off these breadsticks with your favorite sauce. Corn Bread consist of few simple ingredients like eggs, flour, sugar, cornmeal and more... Use your favorite Iron skillet, baking dish or make the cornbread into muffins. 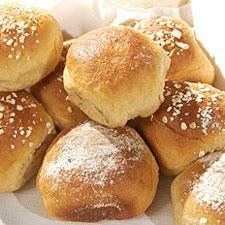 Dinner Rolls perfect addition for that big dinner for the holidays or everyday. We like to make a batch early in the week then we have them all week. 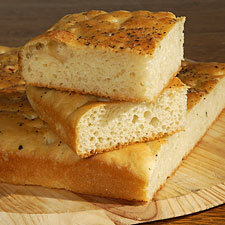 Golden Focaccia I love this bread so versatile nice flat bread. Honey Wheat Rolls just making things a little sweeter. Classic wheat roll sure impress. 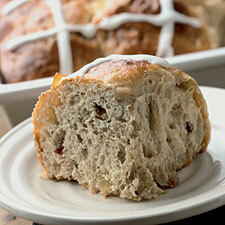 Hot Cross Buns - Commonly known as a Easter bread but can be for any occasion. Not just for the Easter Bunny. 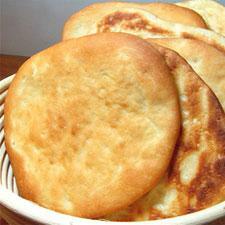 Pita Bread is such a versatile bread we like to make a large amount then freeze to use for pita pizzas, sandwiches, quick garlic bread w/ cheese etc... Just add what you want to them and make your own. Sticky Buns have a nice candy like coating thats just melts in your mouth. In my household sticky buns are a must for Christmas morning. The kids just love them. You'll end up making these again and again. We do every year! 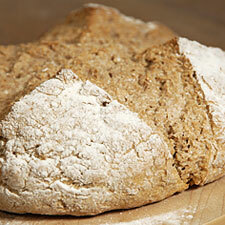 St. Patrick's Day Irish American Soda Bread is a sweet full of currant/raisins can be made at anytime. Sweet Potato Bread I love making this bread in the fall when our harvest of sweet potatoes come in. You can easily use yams or sweet potatoes add nuts or raisins are optional if you wish or just plain. 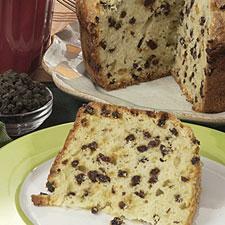 A seasonal favorite just a amazing moist yummy sweet bread. Zucchini Bread Recipes moist sweet easy zucchini bread recipes a easy quick sweet bread that is absolutely delicious. Also, Included is recipes for Lemon Zucchini Bread Recipe & Chocolate Zucchini Bread Recipe for those who like chocolate!!! 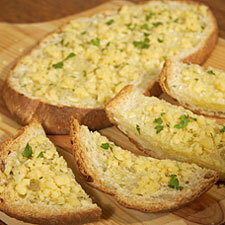 Have A Great Recipe Everyone Loves? Share It! Give us a brief story about your recipe. And you can enter as many recipes as you like. Best Kitchen Ideas - My friend Mike is putting together a great website full of Great Ideas including kitchen ideas, kitchen remodeling, kitchen design, kitchen appliances, kitchen cabinets,kitchen accessories, kitchen backsplash, kitchen countertop, kitchen faucet, kitchen gadgets, kitchen islands, kitchen flooring, kitchen lighting, kitchen sink, kitchen storage, kitchen tables....basically anything you can imagine! Check it out, then bookmark so you can visit again.